The following shops will be staying open later on Thursday nights so that our customers can park for free and put less money in Merton Council’s pockets. 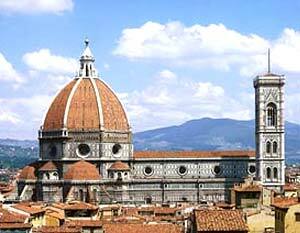 Molton Brown will be holding a Customer Event on Thursday 24th November - open to all. 0208 947 4321 to register your attendance. There’s nothing worse than walking into a meeting room or home riddled with the scent of the occupier’s lunch or the stagnant smell of an airless space, is there? I’ve recently discovered this stylish, room fragrance from the Rosso Nobile collection, available from Senti, that would be ideal for irradiating any unwanted stench and would also serve as a fabulous gift. Created and lovingly crafted in Florence by Dr Paolo Vranjes – a chemist, cosmetologist and perfumer – the fragrance is based on a dessert red wine and infused with herbs and spices. 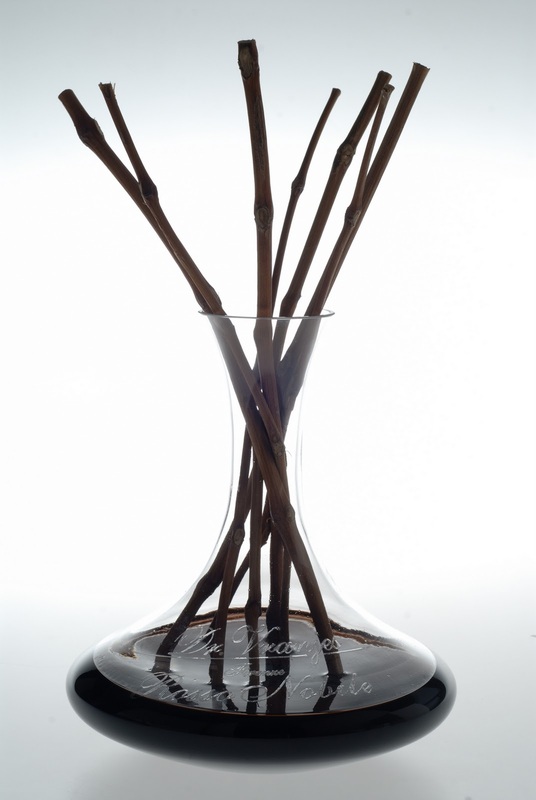 As well as it’s great smelling properties the products acts as a statement piece in any room. 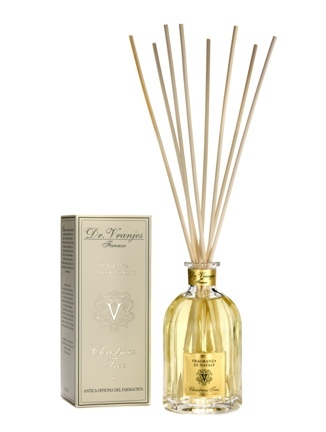 Priced at £169, the scent is presented in a handmade box, includes a decanter and is infused by vines. 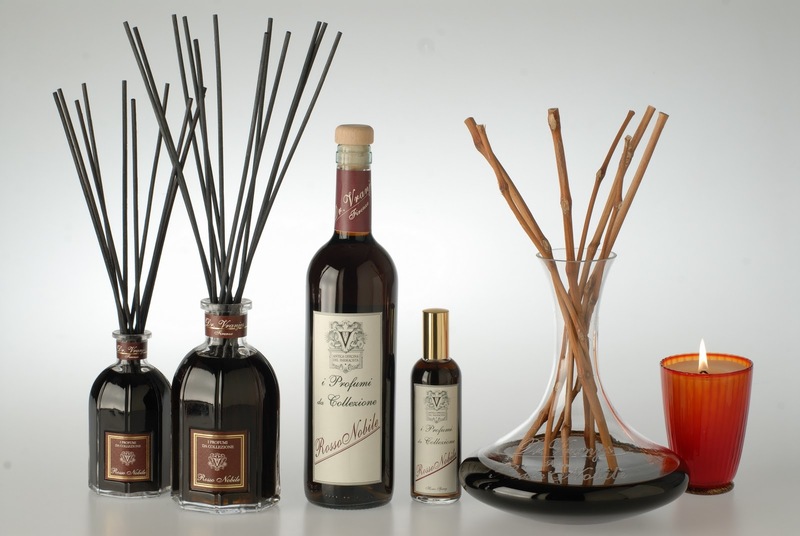 Rosso Nobile is also available in 250ml beautiful glass bottles with black reeds, £69.00, inspired by and carefully created to follow the lines of the famous Duomo, Florence’s Cathedral of Santa Maria di Flori. The seasonal fragrance from the Dr. Vranjes Collection is the wonderfully entitled, ‘Christmas Tree’ (dell’ Albero di Natale). Introduced in 2009 and only available over the festive period, ‘Christmas Tree’ evokes warm memories of that special time of year spent with family and friends and the anticipation of Christmas morning. 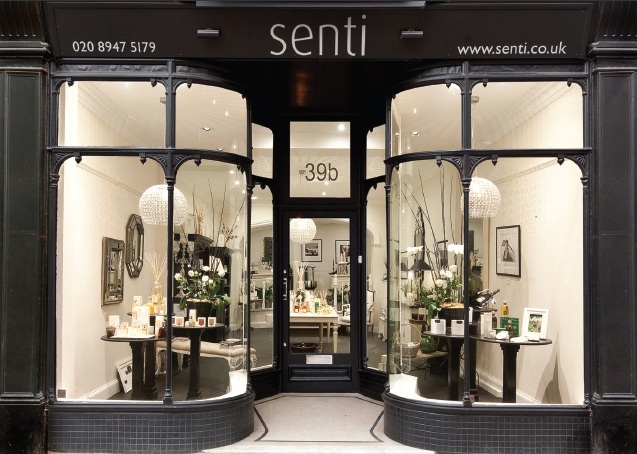 You can visit Senti at 39b High Street, Wimbledon Village to find the full range of Dr. Vranjes products, including other luxury room fragrances, scented candles, perfumes and gorgeous bath and body potions. 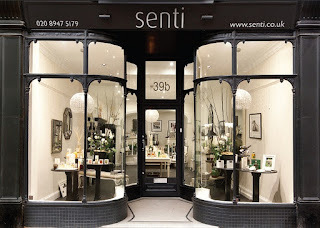 To order online please visit www.senti.co.uk, for telephone orders call 0208 947 5179.